​Barcelona sent scouts to 14 of the 16 midweek Champions League matches, as they keep their options open ahead of a crucial January transfer window, with Bayern Munich's Joshua Kimmich and Napoli's Kalidou Koulibaly reportedly among the targets. Only Barcelona's game against Inter at San Siro and Real Madrid's match against Viktoria Plzen in Czech Republic were not watched by Barça scouts, seven of whom were sent out around Europe. ​Mundo Deportivo (MD) claims that ​Barcelona's priority positions are right back, centre back, central midfield and centre forward. And while this scouting approach may seem somewhat scattershot, there are several players who are already on the wish list. 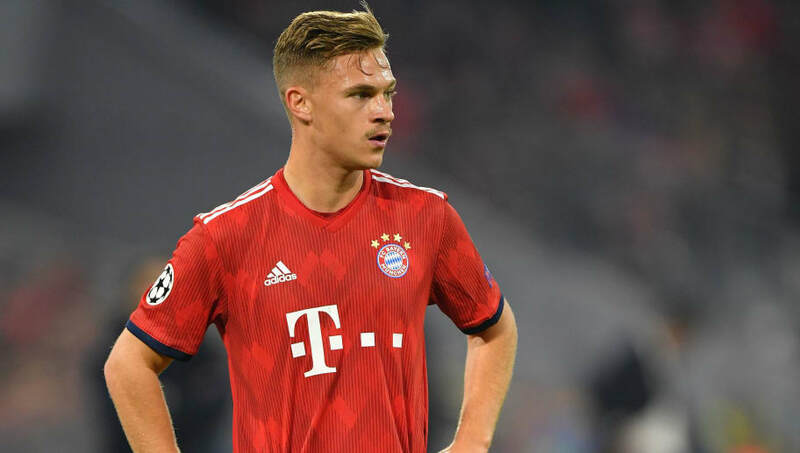 ​Bayern Munich right back Joshua Kimmich is one such name. The German played the full 90 minutes and kept a clean sheet as Bayern beat AEK Athens 2-0 on Wednesday. In the same group, Barça were (according to MD's report) keeping tabs on two Ajax players - midfielder Frenkie De Jong and defender Matthijs De Ligt. Both players started against Benfica in a 1-1 draw which puts the Dutch side on the brink of qualifying for the knockout stages. Barcelona's chief scout Ariedo Braida was in Naples to watch ​Napoli play Paris Saint-Germain, keeping a close eye on Senegalese defender Kalidou Koulibaly. Another possible target, PSG midfielder Adrien Rabiot, didn't make it off the bench. Other rumoured targets in Champions League action include ​Manchester United midfielder Paul Pogba, Roma winger Cengiz Ünder, and ​Tottenham striker Harry Kane. Barcelona drew 1-1 against Inter to become the first team to advance to the knockout stages. One more win will give them an unassailable lead at the top of Group B.